Online Travel Agents (OTAs) have grown exponentially and now organise travel bookings for increasing numbers of customers as it provides simplicity in the process. Linking up with transportation, accommodation, tours and attractions, OTA’s have the ability to provide substantial exposure for your business across the world to link with the traveller seeking the experience. If you want to broaden your market and distribute internationally, here is some key information about OTA’s and how to work with them. Partnering with OTA’s will provide your company increased exposure and require less spending towards marketing. Through common search engines like Google and Yahoo, your product may appear higher due to association with the brand, helping you reach new customers and international markets. Last minute travellers may be more inclined to inquire or book if your tour shows availability via a simple search, which is likely to be boosted. Another small benefit includes bundling and packaging, which may be organised by the OTA and other brands associated, which tops up your occupancy. Many of these OTA’s have created their brands to become trusted and reputable in the online sphere, therefore by launching an association with them, your brand ultimately gains exposure and shares their reputation. Expedia. A brand that many are familiar with; operating in over 70 countries, it is a main name among the OTA’s. Beginning in America, they have grown their brand to include over a dozen smaller in-country companies, (eg. Wotif in Australia, Orbitz in America and Trivago from Germany.) Under this group, they essentially have an OTA for anything tourism related. CityDiscovery. Encouraging a vast listing of experiences via their website, this OTA operates in a range of locations throughout the world. There is a diverse range of experiences depending on where the customer is travelling. Adrenaline. Offering unique experiences, Adrenaline specialises in thrill seeking activities however also includes gourmet and wellbeing experiences. As they consider themselves a good gift for loved ones, they offer gift vouchers with credit valid for up to 3 years, which is a consideration for partnering. Veltra. Operating in English, Chinese, Korean and Japanese, it offers over 4,500 tours in 54 countries. Velta aims to offers low prices comparatively to other OTA’s. Viator. Acquired by TripAdvisor in 2014, this OTA specialises in tours offered in specific destinations. Listing your tour is a simple process, which allows you to be found by the traveller. Clear communication. This is necessary both with the customer to enhance their experience and in regards to technology. Contacting your company should be swift and simple. Have a consistent brand name and logo, so if you are spread across multiple OTA’s, the customer will continue to recognise you. A decent and fair cancellation period. This is expected on both ends; do not cancel tours without fair notice or reasons. Equally, understand the traveller may encounter matters they cannot resolve, requiring cancellation or changes to the booking. Negotiating rates of cancellation will vary depending on your company. Ensure it is decent so the customer does not feel discouraged to book but also maintain a fair standard so your company does not lose bookings and revenue. Comprehensive product description. TMI (too much information) does not exist in this section! Provide a clear and concise description of your product, with further information for those requiring more. Detail what the booker can expect; where the tour will commence, how many people can attend, how long it will last, the conditions that may affect cancellation or changes (weather, events, public holidays), what the customer should or should not bring, inclusions/exclusions etc. Pictures or it didn’t happen! Similar to productive description, show the customer and OTA’s why they should choose you. Pictures, videos and media can behave as the catalyst for your bookings. Convince customers that on your tour or at your attraction they will get that picture for from trip which is posted on all their social media accounts. Real time availability. Allow up-to-date information that provides customers accurate prices, scheduling and available tickets for each day. 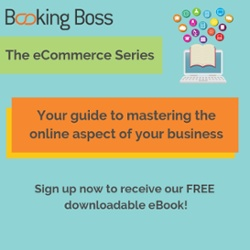 This may sound like constant and tedious work, but Booking Boss manages this for you via their channel manager. There are a number of ways to reach out with OTA’s. Once you have selected the agency you want to associate with, decide how you will connect with them. Certain benefits come from the various methods of contact. Right here on the Booking Boss homepage you can find links to our distributors and provide information on how to reach them. A quick email or phone call can begin the process. Use existing connections to reach them. If you work in tourism, you likely know someone who can assist you. Your contacts can recommend or refer you and form opportunities to connect with OTA’s. Attend trade shows and networking events. In the tourism industry, multiple events are hosted throughout the year to encourage networking. This events allow you to establish relationships and credibility, as you make your company visible, accessible and easy to communicate with. Not to mention, this is the most effective way to build trust and maintain focus. What is the cost of association with an OTA? Depending on the OTA, commissions will be negotiated individually. However, there are guidelines for the rates you should expect to set. These industry standards are helpful to refer to when establishing the partnership. Though the commissionable amount will take an agreed percentage of your income, do not mistake this as the OTA accepting money for work they have not done. OTA’s often run campaigns internationally (which you do not pay for) and yet by association to their brand, the traveller is drawn to your tour or attraction. The exposure on offer has the opportunity to grow your brand. If based on commission, you will not have to pay the OTA if no sales are made. But don’t confuse commission with a nett rate, which is the figure with commission already taken out (ie. The total amount you can expect to receive.) Expedia's research found that there is evidence that direct bookings may actually increase after association with OTA’s, as many customers use the site as a virtual catalogue before creating the booking directly with you. Are there disadvantages with OTA associations? Simple answer: probably not. As long as the brand is reputable and reliable, you should not encounter any significant difficulties with them. Some companies find their personal brand ‘diluted’ after involving with an OTA, however that is up to you to maintain. While you may appear directly next to your competitors in these searches, you can view this as encouragement to innovate your own offering to win the customer. Remember you can always negotiate with your OTA for them to not bid on your company name in order for you to protect your direct business. Contract signed and ink has dried… what’s next? Once the partnership has been established and the commissionable rate agreed on, there are a number of considerations to keep in mind. Loading your product. Remembering to maintain your brand image and logo, you may create a different or refreshed product description depending on the OTA. The OTA may assist in this process to suit their company. Updating may be necessary for prices, booking systems, availability of numbers and seasons, new images and so on. Communication. Channel managers can be the entry into an OTA and occasionally an ongoing point of communication. Providing guidance and relevant information, channel managers can be expected for a wide range of responsibilities. Account managers. Within the OTA, someone will be in charge of managing your company profile and ensuring the maintenance of your relationship. They are another port of communication, typically more specialised with your company than the channel manager. Building a strong relationship is recommended as they will keep your tourism product top of mind and share your interests. Customer reviews. If booked via OTA’s, the customer is typically encouraged to review your product. Remember to encourage reviews and constantly check them. If there are any grievances, consider reaching out to the customer to discuss further with intention to improve quality control and resolve any issues. Marketing opportunities. Though your company is partnered with an OTA, you do not share their contact database. This is an opportunity for marketing via your OTA. It is important to enquire about this, as coverage on their channels can grow your contacts. Remember, if you don’t ask, the answer will always be ‘no’!